The Devraja Market in the heart of Mysore is a must visit on every tourist’s itinerary. The market offers a glimpse into the everyday life of people from Mysore. Through the market is spread over 3 acres, most people do not spend more than an hour in the market. This leaves you with plenty of time to admire some of Mysore’s other popular sights. Here are the top 10 things to do near Devaraja Market. Silk sarees are synonymous with south India. Mysore is known for Mysore Silk Sarees. Mysore silk was first promoted by Tipu Sultan. The sarees are woven with pure silk and yet are very light-weight. Pure silver and gold zari thread are used to weave intricate borders in the sarees. This zari thread contains 65% gold or silver. If you’re looking for a one-of-a-kind souvenir from Mysore this is what you should get. The KSIC Silk Factory and Showroom not only offer you a large variety of sarees to choose from but also gives tourists a chance to see the sarees being woven. In the time of selfies, it definitely is one the things to do near Devaraja Market. Clock towers are common sights in old cities. They were built at a time when not everyone had a wristwatch and hence were the only way for common people to know the time. Today, clock towers may not be looked at to know the time but they are still as popular as they were in the years gone by. 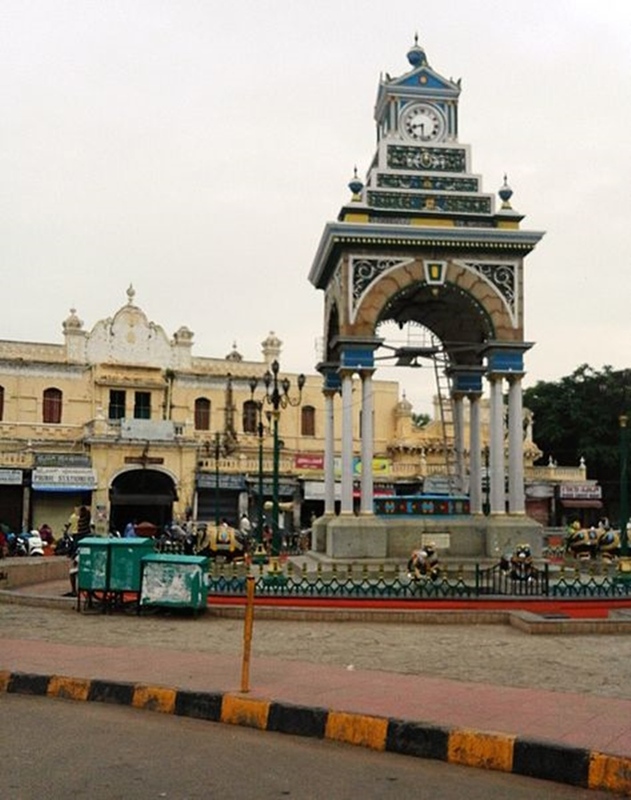 There are two clock towers near the Devaraja market. The larger tower is known as Dodda Gadiyaara and the smaller tower is known as Chikka Gadiyara. Both towers have beautiful sculptures of animals at the base. Don’t miss out on this photo op. The Jayachamarajendra Art Gallery was not always designed to be an art gallery. Instead, it was designed as the Jaganmohan Palace, home of the royal Wodeyar family. It was only in 1915 that the Jaganmohan Palace was renamed the Jayachamarajendra Art Gallery after Sri Jaya Chamarajendra Wodeyar Bahadur. The gallery is known as one of the best galleries in south India and houses a number of paintings by established artists. One of the most famous artworks displayed in this gallery is Raja Ravi Verma’s ‘Glow of Hope’. A number of paintings by Dutch artist Rembrandt are also displayed here. Other exhibits in the gallery include musical instruments, weapons of war, antique coins, sculptures and a unique French clock. Admiring the painting should be one of the many things to do near Devaraja Market. The Mysore Palace was designed and built by Henry Irwin, an English architect between 1897 and 1912. The palace boasts of an Indo-Saracenic style of architecture and is still home to the Wodeyar family. Consequentially, only a part of the palace is open to visitors. The Durbar Hall with its ornamental pillars and ornate ceiling, the Kalyanamantapa or marriage pavilion with its stained glass ceiling and vibrant tiled flooring are two reasons why every tourist in Mysore must visit this palace. The palace also houses a golden howdah and the famous jewel-encrusted golden throne. Dasara is considered the best time to visit the palace as it is illuminated with thousands of lamps as part of the celebrations. If you do not visit Mysore Palace, your trip is not complete. And yes, visiting Mysore Palace is one of the things to do near Devaraja Market. 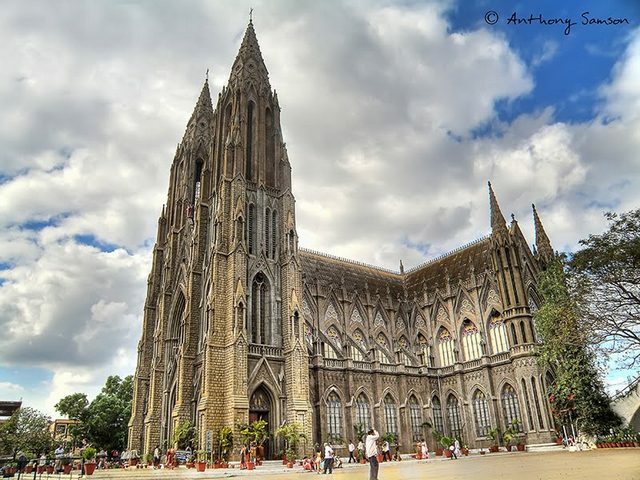 St Philomena’s Church was built in 1936 in a neo-gothic style of architecture inspired by the Cologne Cathedral in Germany. The church is one of the tallest churches in Asia. As the name suggests, the church is dedicated to St. Philomena whose relics are housed in the catacombs under the main altar. The church is renowned for its stained glass windows that depict scenes from Christ’s life and statues of female deities draped in sarees. Even you are not religious visit the church and enjoy it architectural splendor. It indeed is one of the things to do near Devaraja Market. While traveling by air may be faster, nothing beats the romance of a train journey. 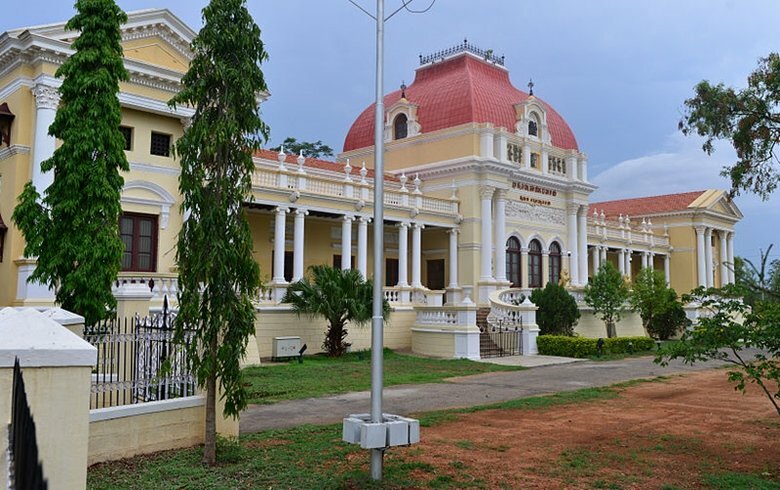 The Railway Museum in Mysore houses a number of locomotives, paintings and photographs that depict the progress of Indian railways through the years. It also has a battery operated toy train that children are given joy rides on. Some of the iconic exhibits in the museum include an Austin rail-motor car, 2 royal coaches that were part of the Maharaja of Mysore’s train, a meter gauge steam engine and a narrow gauge steam engine that used wood as fuel. Kukkarahalli Lake is less than 5km from the Devaraja Market. The lake is spread over 58 acres and has a shoreline of almost 5km. The lake is a manmade lake commissioned by Mummadi Krishnaraja Wodeyar in 1864. The lake is popular with nature lovers and picnickers alike. Having the Chamundi Hills in the backdrop only adds to the natural beauty of this lake. The lake has inspired a number of poets and writers and has even been mentioned in R. K. Narayan’s autobiography. The lake is encircled by a walkway with stone benches. Boating is also organized here at nominal charges. The Jamia Masjid in Mysore is also known as Masjid-i-Ala. The mosque is located inside the Srirangapatna Fort and dates back to the 18th century. The twin minarets of this mosque are its most recognizable feature. The architecture of the Mosque combines a number of Indian and Islamic design details. A rectangular pool stands in one corner of the Mosque compound. The mosque is functional so visitors are advised to follow the prescribed code of conduct. Early mornings and late evenings are the ideal time to visit this mosque. Even if you are not a history buff, visiting the oldest library is one of the things to do near Devaraja Market. And yes, visiting the Oriental Research Institute is a must on every history buff’s itinerary. The institute was founded in 1891 as the Oriental Library by Maharaja Chamarajendra Wadiyar X. It was renamed the Oriental Research Institution in 1943. The library houses over 38000 books and 485000 palm leaf manuscripts. Some of the most important works stored in this library include James Hasting’s Encyclopedia of Religion and Ethics, special editions of the Mahabharata and Ramayana and A Vedic Concordance by Maurice Bloomfield. The institute’s most famous publication is a translation of Kautilya’s Arthashastra by Dr. Rudrapatnam Shamashastry. 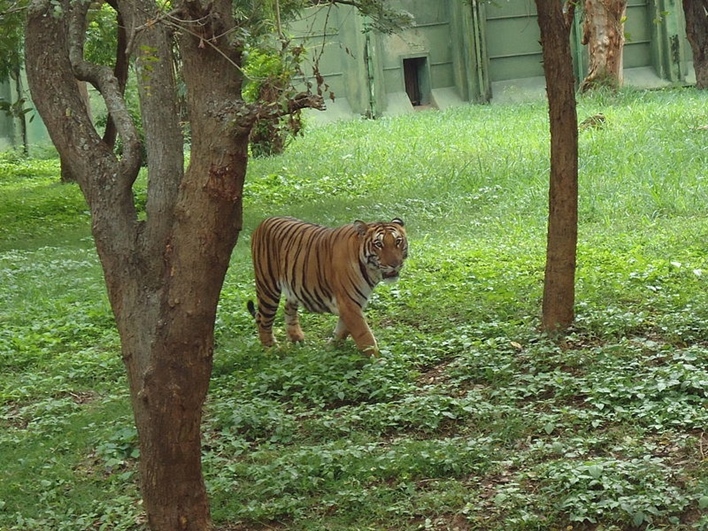 The Mysore Zoo or the Sri Chamarajendra Zoological Gardens is one of the oldest zoos in India. The zoo is spread over 157 acres and dates back to 1892. The zoo includes an artificial lake and a manmade island designed as a bird sanctuary. The zoo houses the maximum number of elephants in the country. It is also home to a number of animals including lions, zebras, giraffes, tigers, baboons and white rhinoceroses. It also has 5 green anacondas. There are many things to do near Devaraja Market. We have only listed the top 10 activities you can do. Set out and explore the city today.